The Advanced tab contains a setting for enabling or disabling JPEG2000 image compression. 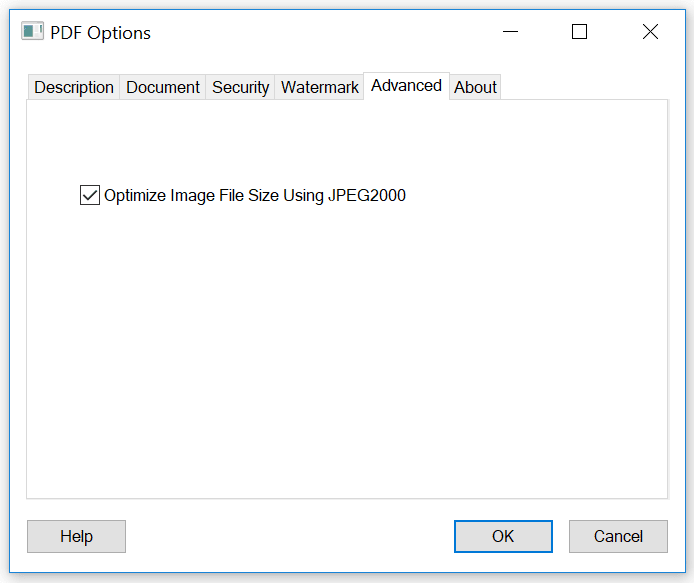 When the "Optimize Image File Size using JPEG2000" option is enabled, color images in the PDF are compressed using the JPEG 2000 format. This can result in significant reductions in file size, but can also reduce the quality of some types of color images and can slow the conversion process. The option is disabled by default.